Human being. Insights hunter. Discovering the world, shifting mindsets for awesome brands and collecting accolades on the way. Before joining Heraldist, Andy has been working as a Creative Director in Saatchi & Saatchi Dubai, developing integrated campaigns for companies such as General Motors and P&G. Before Saatchi & Saatchi, Andy sharpened his skills in McCann, Publicis and BBDO. He recently served as a juror at ADC Europe, AdFest in Asia and Young Lions Middle East and he’s been awarded everywhere from Cannes Lions to One Show, Eurobest, Effie, Golden Drum, Facebook Awards and more. Andy is a particularly weird breed of creative: experiential and solution-oriented, he never gets angry, always sees the bright side and doesn’t like to brag or talk about himself. Which is why this text had to be written by someone else, someone who’s not even a copywriter and who'll get a cheap beer from Andy in exchange for this poorly written text. Entrepreneurial, Sales & Marketing and Global Marketing Consultant with extensive worldwide experience in running regional research and consulting business. He is intrigued by anything and everything creative especially in advertising and branding space. Before joining Heraldist San Francisco as a CEO and partner, Saji had held senior positions at global research firms and have lived and worked in US, Australia and Singapore. Most recently, he was the managing director for Asia Pacific, Middle East and India for a top 50 US based Global research firm. He is a passionate and effective leader with a history of building successful culturally diverse regional teams, managing regional P&L and repeated success implementing insights driven, strategic and tactical multi-country business initiatives. He is passionate about learning about diverse cultures and have traveled extensively and worked with a broad range of clients on multiple continents. He spent more than 14 years in the world of corporate and mass communication, working with international organisations and private companies, mainly in Switzerland. Claudiu believes disruption is the C-vitamin of communication just as critical thinking is the C-vitamin of knowledge. The positive impact his work has on the others is essential to Claudiu. He brings in an in-depth understanding of the relationship between brands and consumers. He drives strategic plans, works with client cross-functional teams and translates business goals into creative and effective communication. He blends the forces of innovative and strategic thinking with outstanding design and interpersonal skills. Romanian by birth, Swiss by adoption and funky by choice, Claudiu’s mindset is symplexity – “simplicity is complexity resolved”. For Mirela, before Heraldist there were almost 20 advertising years spent in Romania, Russia and Asia, mixed with a short South American episode. 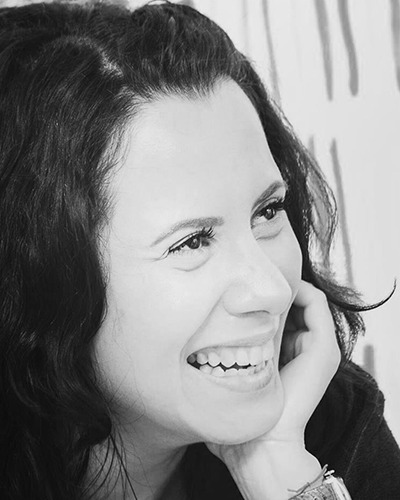 She started her career in the late 90s in McCann Romania which she left after 6 years to take on the challenge of building from scratch the Client Service and the Strategy departments of GMP Advertising. These first 10 years of handling a diverse portfolio of brands and managing diverse groups of people prepared her for a new role as Managing Director of DDB Romania. But the world was calling and her next stop was The Coca-Cola Company in Moscow, where she coordinated campaigns for all company’s brands in Russia, CIS but also coordinated thematic campaign for the Regional Business Unit. A short volunteering in Ecuador, teaching marketing basics to small entrepreneurs, preceded a longer stay in Vietnam, where she worked as Strategy Director for Saatchi & Saatchi in probably the most dynamic economic context witnessed throughout her career. To Heraldist, Mirela brings all these experiences, a big appetite for performance and growth and a renewed love for Bucharest. Before joining Heraldist as the international marketing lead for the British and Spanish markets, Dany spent the previous 12 years working across marketing and communications for some of the top agencies in London. Specialising in PR, social media and creative services, Dany’s previous clients include film studios, gaming developers and distributors, tech brands and record labels, not to mention some of the biggest names in food, drink, fashion and beauty. In that time, Dany also found the time to work as a correspondent and photographer for two of Spain’s major rock magazines, presented his own radio show, and toured the UK and Europe as a guitarist in Mercy House, with a major highlight being a spot on the Download Festival bill alongside the likes of Aerosmith, Linkin Park and Avenged Sevenfold. With a career of 8 years in advertising industry, in Bucharest at Agencies such as BBDO, GMP and a transition period to NGO the world, Ruxandra makes her return in marketing / advertising as Managing Partner of the Cluj office of Heraldist & Wondermarks. Proactive and adaptive, with strong organizational skills coupled with solid knowledge of the business and the marketplace, Ruxandra is an advertising expert with a particularly contagious laughter, as you will probably get to see for yourself. “25 years” is just a number if those years are not well spent. With boundless energy and enthusiasm, Claudia infused this number with continuous learning and a thirst for knowledge, leaving her trademark in many foreign countries, by taking management roles at leading global communications and advertising agencies, such as Saatchi & Saatchi, Grey Worldwide, Young & Rubicam and Ogilvy Public Relations. Abroad, she crossed her professional path as a PR consultant with varied projects and some came into spotlight, being awarded at the PRCA Consumer Award, B2B Marketing Awards, Travel Marketing Awards, Magellan Awards, Spotlights Awards and Stevie Award. Legal adviser, with more than a decade of experience in commercial law, private equity, transactions, fusions, acquisitions, corporate law, purchased concessions, patents, licenses, trademarks and similar rights and assets. Frequently coordinating complex operations, which involve foreign jurisdictions. Passionate about advertising and other creative industries. Competitive, witty, well-informed. Her name derives from the Romanian word for 'emerald', so you’ll find her at her best just below the surface of advertising, lighting up a green light to all sorts of projects: she gained experience in BTL (below the line advertising), adding up to 4 years of doing research for companies and organisations across the public and the private sectors. But letting aside all those green lights, there’s nothing more vivid when it comes to Smaranda, than the pro bono work she’s involved in. Every time the word “impossible” springs to mind, she makes sure it’s just another word that once it’s written on a blank page, leaves room for so much more. Like all great love stories, Teodora’s love affair with marketing happened by chance. She was doing an elective course at her university in Glasgow when she discovered her true passion: marketing. And the rest was history. Well, not really. But pretty much. She interned at Heraldist for a few weeks in 2015 after which she returned to the United Kingdom to further her knowledge with a masters in Marketing Communications. It’s the dynamics and how all things connect in this field that swept her off her feet. Passionate about all things challenging, Teodora just loves always learning new things about brands, people and markets and what makes them tic. Teodora is a bit of a musicoholic, her life is a constant stream of sounds and songs that blend to form a formidable playlist. There’s never a quiet or dull moment with her. She’s always curios and hungry for more and she seldom lets a day pass without learning something new. Ainhoa was born in the Basque Country in Gernika in 1993. She studied Art in the University of Basque Country, where she focused on drawing, painting and photography. She came to Romania and fell in love with the country; Ainhoa has been here for almost 3 years and wouldn't move back, even though she's sometimes missing the ocean. Before joining Heraldist, Ainhoa worked in UI/UX design. She loves photography, drawing, cooking, dogs and plants and wouldn't spend a single second without listening to music and thinking about which will be the next recipe she'll cook for her friends. After initially starting off as a filmmaker, Noémi completed her studies as an animator, all the while working as a freelance graphic designer and illustrator. She commisioned print illustration, branding and app design, while her animated shorts traveled the international festival circuit. She is a lot of things, but the reality is, she just likes to design and draw stuff, and occasionally make them move and give them some personality, kind of like a wizard. She wouldn’t be caught dead without her sketchbook, but on the rare occasions when she’s not in front of a computer or canvas, she practices hand-printing on fabric, restoring old furniture and thinking about typography. When Heraldist found her, she decided to put her storyteller nature to good use and join the team to make some magic together. We tried not to make this botanical analogy ('brindusa' is the Romanian name of a flower native to the mountains) but Brîndușa is indeed as ambitious and determined as the homonymous flower, that will fight the snow, only to ultimately emerge out of it. Brîndușa is the person that lets her work talk about her. Well, her photos as well, because she is also a passionate visual storyteller. Brîndușa was gifted with a practical and analytical mind, that’s why she will not waste her energy on activities that don't lead to the goals she set. Handsome and trustworthy, 36 years old male, only child with excellent family background, well educated and settled, God fearing man; suitable match for a creative agency. Matei is a young, talented videomaker, with a surprising artistic maturity and integrity. He often gets involved in social projects, such as the one where he actively supported local craftsmen with amazing videos that helped them promote their business internationally. With an impressive portfolio that covers everything from presentation videos for exciting technology startups to music videos with millions of views and projects for large corporate client such as IKEA, Western Union UK, Mercedes-Benz, SAB Miller or Universal Music, Matei is a versatile artist who can bring a distinct artistic touch to any video. An old soul who tries to remember every day that there are only a few things that really matter in the end. Kindness towards others and towards ourselves is one of those. On his life journey he kept his mind wide and his heart open as a bookshop keeper in the “family” of Anthony Frost English Bookshop, the place which Lonely Planet considered it to be “arguably the best English-language bookshop in Eastern Europe”. From indie bookshop to global organization, he continued his adventure working as a client service assistant for the IOM Romania (The United Nations Migration Agency), deepening relationships with some old friends: discipline, attentiveness, clarity, patience and empathy. Elena is an expert in online communication. Sho joined Heraldist after many years as an online marketing strategist in Google Europe in Dublin. As an online marketing expert, she was invited to speak in Google events across Europe, from France and Belgium to Poland and Romania. Heraldist Online aims to become the leader in online campaign management in Romania and extend its activities all over Europe. 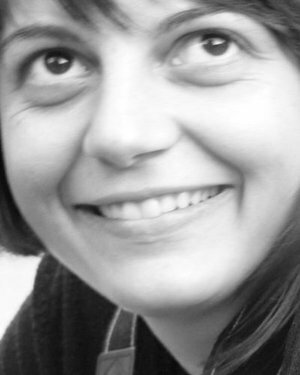 Elena has more than 9 years of experience in marketing communication. Ruth was born in the cold. Her mind is graphic. She’s thinking in textures and she works the pen to make the ink transform. She has a very good color sense, yet she doesn’t have a favorite color. She is always walking with eyes wide open, always chasing an atmosphere and capturing every little detail of everything surrounding her, doesn’t matter if it’s with her eyes or her camera, photography being one of her biggest passion. From her point of view the source of the new is the random. That’s why she likes to skate on the other side of the ice. Whatever that means. Her very first and biggest inspiration was/is Hundertwasser. She is 50% logic, 50% emotion. She loves the meaning of the Japanese philosophy: wabi-sabi. Her days are backwards. She wakes up tired and going to bed wide awake. It seems to her that most really pretty girls have pretty ugly feet. Slow walkers are bothering her. She doesn’t like fruits, but she is always up to eating cheese. She maintains that there’s more space in a face for a smile. She laughs a lot. To her mind cactuses and palm trees are fascinating. (Maybe her other face is a cactus.) P.S. : Never pause the music she’s listening to without her permission. Forward thinking, curios, hardly impressed but easily inspired. He started experimenting with visual communication in the form of illegal street art back in 2005 but as he sought more possibilities his interest migrated rapidly into the digital world. After a long period of trial and error, he managed to cover a wide range in the field of graphic design from print to web to creating the corporate identity for S.E.C., the biggest solar company provider in Lithuania. Zorán at this point is keeping himself busy also with VJing, copywriting, occasional photography, club promoting and he is also a failed bike mechanic. He couldn't figure out if this "jack of all trades, master of none" is a good thing or not but he certainly isn't bored. Determined to bring a bit of change with everything he does, Richard also loves to read and to know stuff. His current mission is to learn how to balance these two contradicting needs - doing stuff and thinking about how to do that stuff. It’s tough trying to be an ‘Action Geek’. Don’t worry, he gets pretty creative too. With an English/German first name, a Romanian middle name and a Slovakian last one, the first thing people get confused about with him is what he actually is. So... ask him! You’re not gonna find out here. But you will learn that he toured Romania for 67 consecutive days, mostly by himself and his two trustworthy backpacks! He thinks the country’s really beautiful.